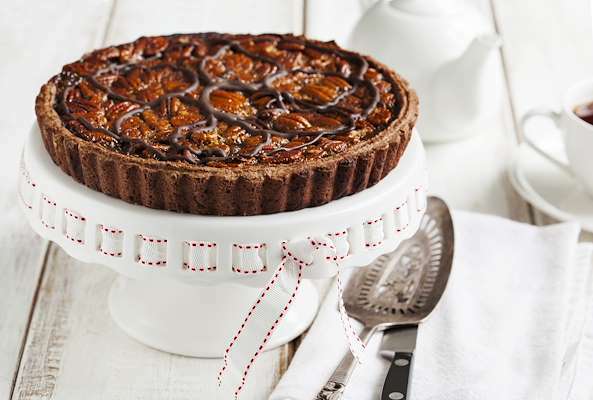 RecipeSavants.com Here is an impressive dessert that looks fancy but is a cinch to make! 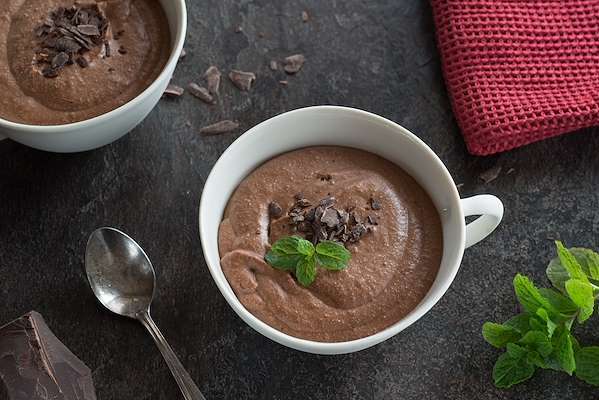 With only eggs, sugar, whipping cream and semi-sweet chocolate, you can whip up this tempting chocolate mousse for your family. It may become a frequent request! Smart Recipes, European Recipes, Dairy Recipes, Recipes Dairy European Chocolate Mousse PT2H20M Serves 8 Ingredients: 2 Large Eggs 0.25 Cup Granulated Sugar 2.5 Cups Heavy Whipping Cream 1 Cup Semi-Sweet Chocolate Chips 0.5 Pound Semi-Sweet Chocolate 2 Tablespoons Mint Leaves In a stand mixer on high speed, add eggs and sugar and beat until frothy, 2-3 minutes. Meanwhile, in a small saucepan over medium heat, add 1 cup heavy cream and heat until hot, but not boiling. With the stand mixer on low speed, slowly add the hot cream into the egg mixture and beat until combined. Reduce the heat to low and add the egg/cream mixture back into the saucepan, stirring constantly until the mixture thickens, 4-5 minutes. Do not let it boil. Remove from heat and stir in chocolate chips until melted. Cover and refrigerate and stir occasionally until completely chilled, about 2 hours. In a stand mixer on high speed with whisk attachment, whip remaining heavy cream until stiff peaks form. With a paddle attachment on low speed, fold the whipped cream into the chocolate mixture until velvety smooth. Divide evenly into 8 dessert cups and top with sprinkles of chopped chocolate. Garnish with a sprig of mint if desired. 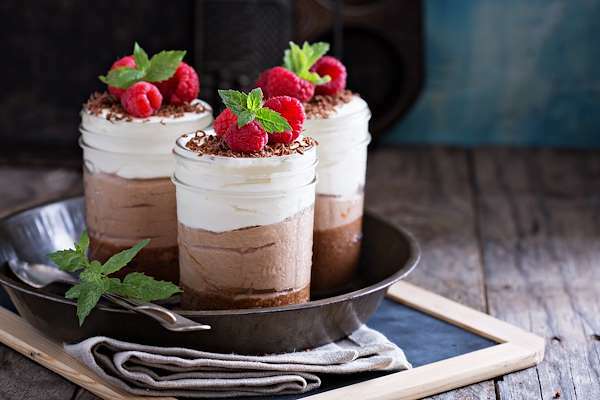 If you enjoyed this easy mousse recipe, you'll love these fresh ideas! Surprise your family and dinner guests with this easy chocolate mousse recipe. The luscious dark chocolate gets melted in a double boiler, while the heavy cream and egg whites are beaten separately unto fluffy peaks. Fold all these ingredients together, chill, and garnish with chocolate shavings and whipped cream. You get a heavenly dessert that makes every day worth celebrating. This over-the-top dessert is served semi-frozen, with a mesmerizing topping of dark chocolate ganache. Your family’s sweet tooth will go into overdrive! 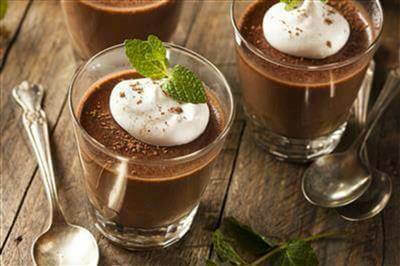 The mousse should stay in the freezer at least overnight; however, you can store it for at least a month before serving. 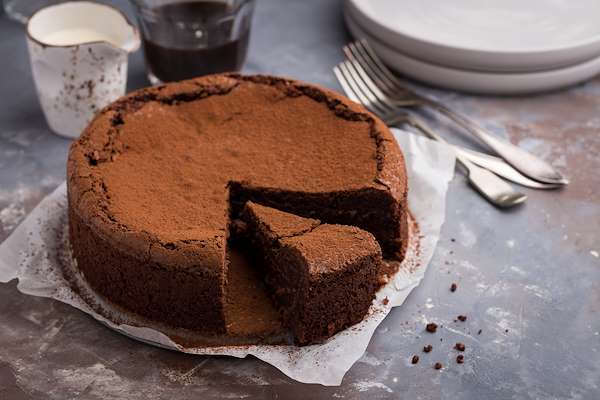 If you are looking for easy and simple dessert recipes for a fancy dinner, this is it.